Discussion in 'Android Devices' started by kwaping, Dec 23, 2009. 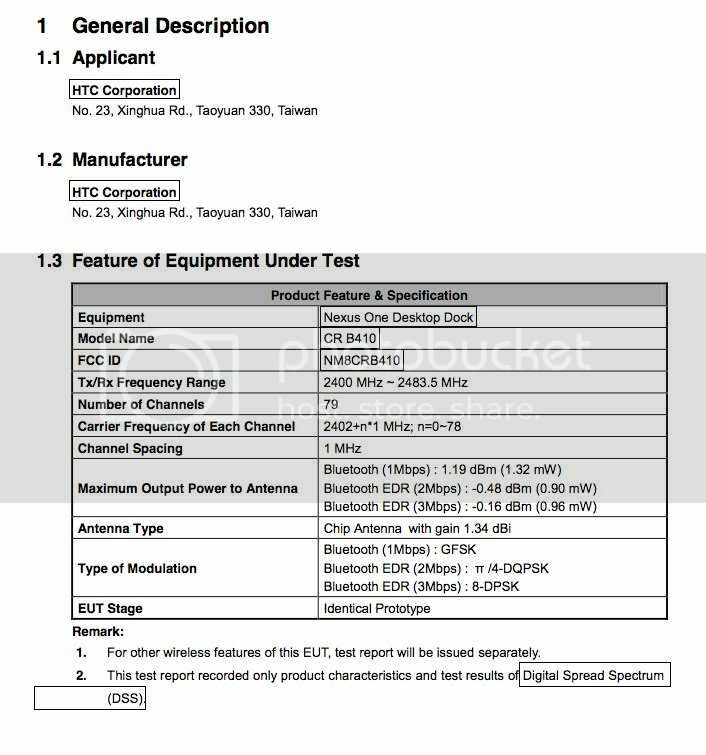 Did my daily check of the FCC today for HTC postings and I found this nifty little gem. HTC is preparing to release the "Nexus One Dock" (CR B410) in the (near?) future. Nothing super exciting about that, *except* that it has built-in Bluetooth for some reason. Weird! I'm excited, my first real FCC scoop! More info. Note the connection of the dock to a dvd player?! Great.. one more thing added to my to-buy list. At this rate I'll go bankrupt by February. Can someone explain to me what this thing does? I can see it connects to a DVD player for video output i assume, but why the bluetooth? What is the "System simulator" thingy? I think the "system simulator" is some sort of test device. I don't really know what it does, which is part of the excitement for me. Why would it connect to a DVD player? I doubt it would be sending video IN to it, which means... recording video straight from a dvd player output? That would be a pretty big deal, no? I also have no idea why the dock would have bluetooth. Maybe for a bluetooth remote to control your phone, to use it as a home media player? This is quite an interesting development! My best guess would be a dock for playing N1 music thru your home receiver. It would also allow calls to be played thru the receiver. Bluetooth is for a BT mic to be used during calls.....maybe? Or a BT remote for song selection, but an RF remote could do the same thing so, who knows. 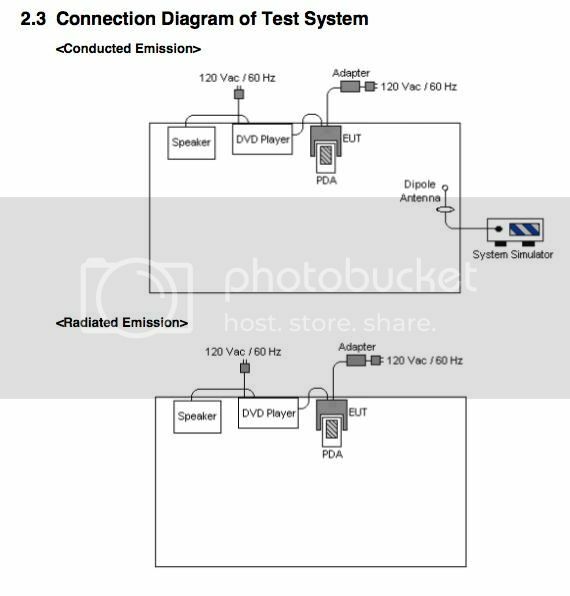 I looked up the connection spec's on the DVD player and it has no video input, just video out and audio in( analog and digital ). I agree that the DVD player is for testing the audio out signals of the wireless docking. But what about the physical dock pins? I've not seen or heard anything about what pins/signals are available on that dock connector. Will this puppy do what the Odroid does by having a 720p video output I/F?